He began his survey expecting to find stimulation and social engagement as the most important factor, following a huge 2001 survey in which ‘emotional support’ grabbed the Number One spot for staving off cognitive decline. But that wasn’t the conclusion he came to. After reviewing the research conducted since 2001, he found that exercise was the clear winner, the Number One factor for ageing well. More important than diet…or supplements… or drugs…. or brain training… or social interaction. We already know that active people live an average of five years longer than inactive people, but recently the impact of regular exercise on the microbiome has been investigated – with equally startling results. It appears that people who exercise alter the composition of their gut bacteria, even changing the genes of many microbes, without any changes to their diet. So not only does exercise benefit our hearts and brains (as well as our bones, balance, inflammatory markers, blood pressure, cortisol levels etc etc), but it’s also appreciated by our gut bacteria. Thus was born my second New Year’s Resolution – to be more active! So what exercise to do? Well, the answer is whatever you like as long as you do something (we’re keen on walking, dancing and table tennis). But recent research suggests the most beneficial exercise when it comes to ageing may be HIIT, high intensity interval training (yes, an awful, off-putting term but I’ll come to that in a minute). A study published in the publication, Cell Metabolism, found that HIIT increased mitochondrial activity, a cellular process that provides us with energy but declines as we age. The same study found that HIIT raised levels of BDNF (brain-derived neurotrophic factor) in the brain. We’ll be writing about BDNF in the weeks to come, but all you need to know now is that BDNF, routinely called the Miracle-Gro for brain cells, falls as we age and is linked to premature ageing in rats and to Alzheimer’s, depression and obesity in humans. The name, HIIT, is terrifying. But all it means is getting a little bit breathless – a short burst of activity where you push yourself harder than normal – followed by a few seconds of recovery. What I love about HIIT is its efficiency. Sports scientists claim that a few minutes of HIIT equate to a much longer period of steadily paced exercise. Michael Mosley talked about HIIT in his recent BBC programme The Truth About Getting Fit. You can see it at http://www.bbc.co.uk/programmes/p05w69pf. He also includes a 5-minute programme of star jumps and squats that can be done in your kitchen. I’ve been doing Dr Mercola’s 3-minute Nitric Oxide dump (http://www.mercola.com/calendar/2018/fitness.htm), which is a version of HIIT, alternating it with Dr Chatterjee’s 5-minute Kitchen Workout (https://drchatterjee.com/5min-kitchen-workout/). Both were recommended by my chiropractor sister-in-law and both include a mix of movement and strength training. But please, please start slowly….And always check with your GP before starting a new exercise programme. Finally, you need to keep going – the study that found exercise could change your microbiome also found that after six weeks without exercise the participants’ microbiomes reverted back. If you’re still concerned about HIIT, there’s a sensible explanation at http://abcnews.go.com/Health/high-intensity-interval-training-anti-aging-benefits-study/story?id=45981168. I wrote about cloves recently, the richest antioxidant ingredient on the planet. Cloves were widely used in the past, but their distinctive flavour has fallen out of fashion now. So I was thrilled to find a spice mix chock-full of this little dried bud (which is what a clove is). Cloves need to be artfully paired with other spices to get the right balance. And this Lebanese blend cracks it. Keep a jar in the fridge and we’ll be showing you how to use it in the weeks to come. PS The mix comes from the cookery book in the picture, one my favourite books of the last two years. 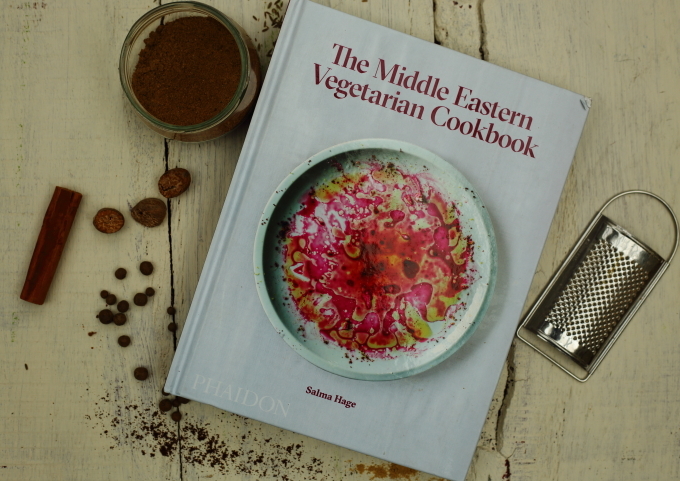 Author, Salma Hage, calls it Lebanese 7-Spice Seasoning. In my view Middle Eastern cuisine ranks as one of the world’s great cuisines. Happily, it’s also bursting with nutritional goodness. What more could one ask for? Mix thoroughly and store in an airtight jar. This make a large supply, but you can always halve the amount or gift jars to friends. Your current article reiterates what I have been reading lately about keeping the brain healthy and reducing the risk of dementia – “A brain for life” by Dr Nicola Gates (2016). The importance of exercise is emphasised, although this title doesn’t mention specific exercises. We should just keep moving. I have concluded that I probably haven’t been moving fast enough but will heed the warning to start slowly. The above mentioned book spoke of the importance of sleep and the fallacy that we don’t need more than 5 hours sleep as we age. Also, I love the smell of cloves and lived for a while in a country where the cigarettes were made from that spice. Although I have never smoked, I did quite like the smell of burning cloves drifting through the air. I put cloves in my drawers because the moths don’t seem to like them, with the only downside being that my cardigans probably smell strange to others. Middle Eastern cuisine is one of my favourites too. I just buy the fenugreek already crushed (ie powdered form). Another very interesting post and thank you again for reminding me how important all these practices are for brain health. Thanks, Gaynor. I’ve tried to find powdered fenugreek but no luck. I think I should visit a middle eastern shop, as there’s none in the supermarkets here. So glad you like the scent of cloves too, I didn’t know about clove cigarettes! A Brain for life sounds interesting. I’ve just finished Brain Rules for Aging Well by John Medina – excellent!